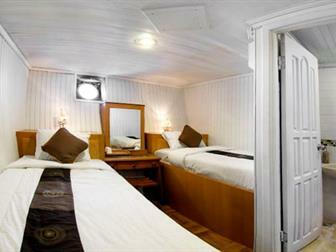 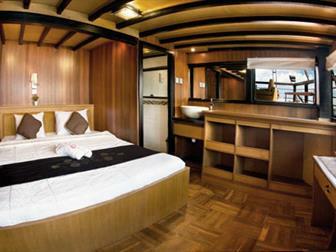 This luxury liveaboard measures 33 meters and is a gorgeous wooden schooner which travels the Indonesian waters. 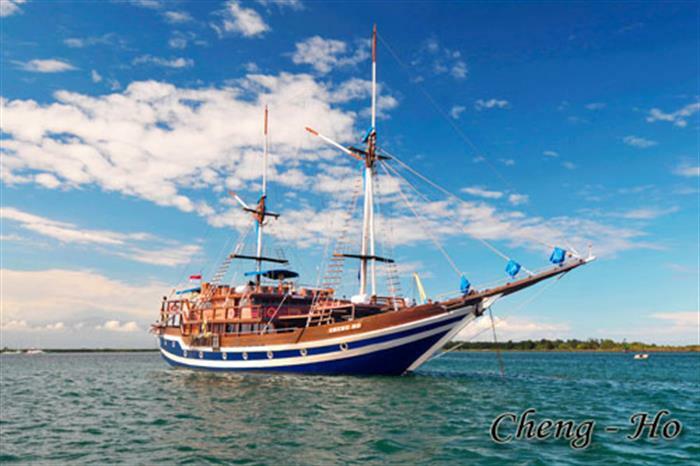 For an unforgettable diving vacation, the Cheng Ho is an outstanding liveaboard choice, traveling to popular dive spots such as Ambon, Bali, Raja Ampat, Sumbawa, Alor, Sangalaki, Komodo, and Derawan, all in the Indonesian archipelago. 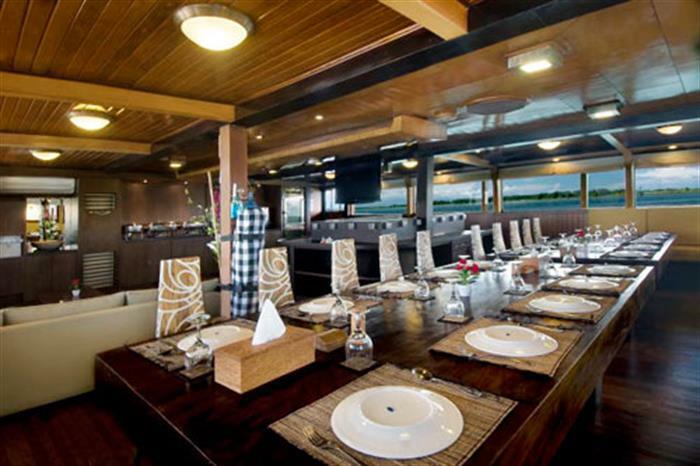 The M/V Cheng Ho is a part of the fleet called Bali Sea Safari Cruises and is well-known for offering exceptional service, comfort, and of course food. The vessel can accommodate up to twenty four people in fourteen private suites, each complete with en-suite bathrooms and individual climate control settings. 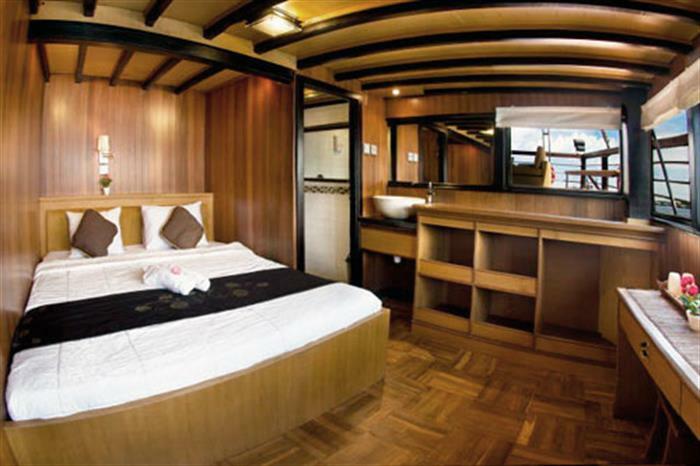 The ship�s amenities also include a restaurant on board, entertainment system, and space to relax and take in the beautiful Indonesian views on the decks. 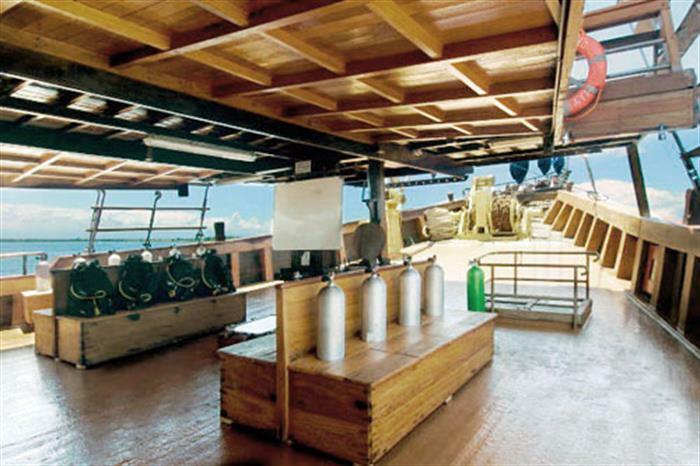 The Cheng Ho offers outstanding scuba diving facilities, being stocked with all of the equipment and expert crew you need to get the most out of your diving holiday. 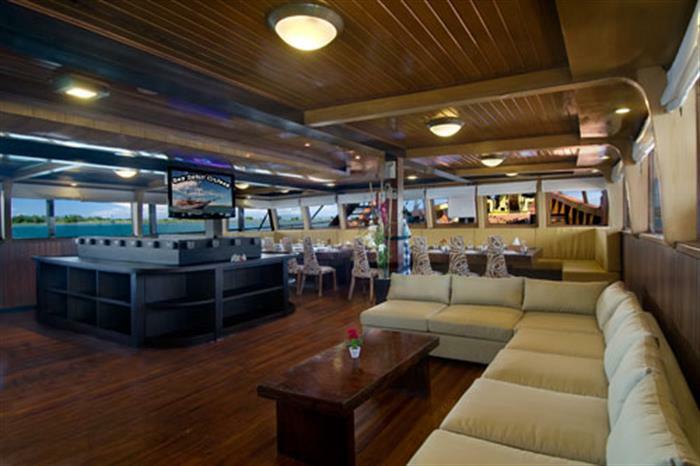 Take in the thousands of species of fish, night dives, beautiful and vibrant coral reefs, sharks, historic wrecks, and unforgettable vertical walls. 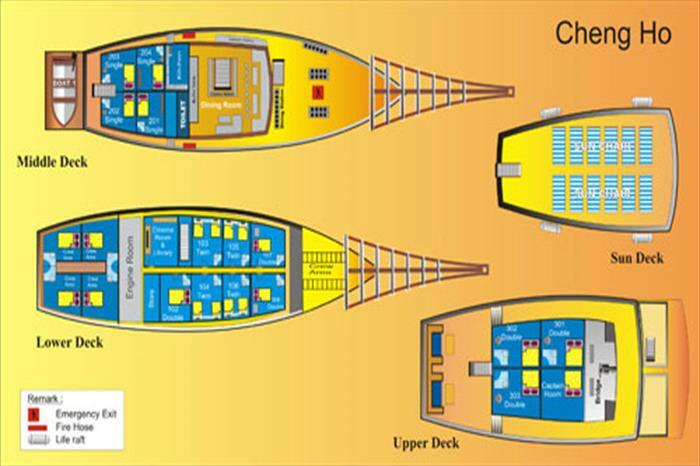 Your dive vacation aboard the Cheng Ho will be absolutely exceptional, traveling to all of the best spots in the pristine Indonesian waters. 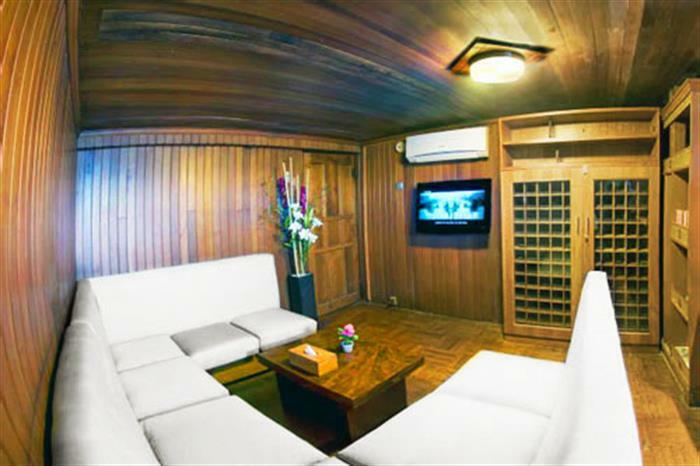 For the diving cruise full of adventure in Indonesia, book your liveaboard vacation with this vessel today! 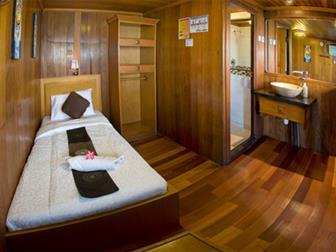 Excluded: International/domestic airfare and airport tax, Soft drinks and alcohol beverages, Cruise director, Land tour and entrance fee (Komodo USD 65 / Raja Ampat USD 135 / Cendrawasih USD 175), Personal travel Insurance, Gratuities to guide and crew, Onboard telecommunication, Laundry service, Passengers may bring onboard own beverages, however will apply USD 10/bottle corkage fee, Pick up service Bali area USD 10/pax and outside Bali USD 20/pax (one way), Mobilization and demobilization (empty run) rate is applied if sailing started outside Bali water as the boat HOMEBASE, Government tax 10% Sea Safari Cruises will only apply the USD 30 surcharge per night per person if the cost of fuel increases.